Just wanted to wish all my fellow system administrators a very happy sysadmin day. This one goes out to all you ninjas, who carry out their work in the shadows to ensure maximum availability, stability, performance and security. To all of you, who try to explain magic to muggles on a daily basis. About 5 months ago I moved away from Whatsapp (owned by Facebook) to Signal and today I moved away from Facebook itself. It has been on my to do list for a while already. 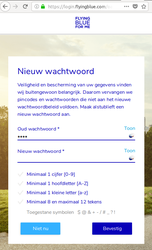 Watching Zondag met Lubach this week gave me the final push to put my Facebook account removal at the top of my to do list. Arjen Lubach even created a Facebook event (quite funny) called "Bye Bye Facebook", which was scheduled for yesterday evening at 20.00. He stuck to his word and removed his own account. What made it funnier was that his event was not very easy to find using the search function, which usually works fine. 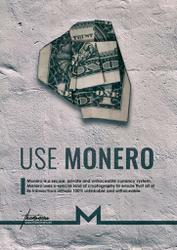 About 2 weeks ago the developers behind the cryptocurrency Monero (Bitcoin 2.0) released an update of their software. When the blockchain reached block 1546000 a few days ago, the updated software release became mandatory to use. 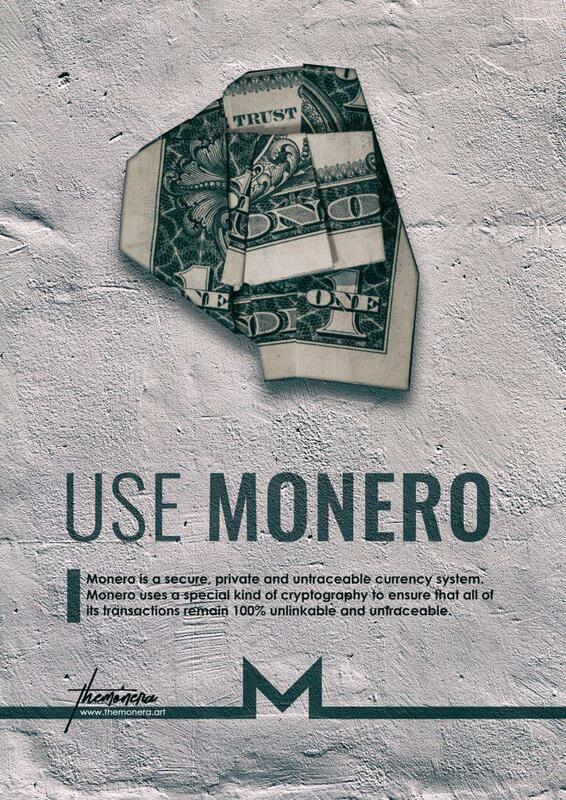 Please update your Monero software as soon as possible. Updates can be acquired from their website. Story is that I have several TP-Link WR710N access points in use, flashed with OpenWrt. The preinstalled (factory) OS is a bit too limiting, resource-intensive and cannot be checked for flaws (or be modified for that matter). Whilst reading the OpenWrt website, I saw they merged with the LEDE project and they are merging their efforts. Hooray for this/these amazing project(s). Since my installations are a bit stale (and they still work like a charm), it was time to do updates. The project has a fine page about sysupgrade, which describes the process for both the GUI (webinterface) and commandline (preferred). 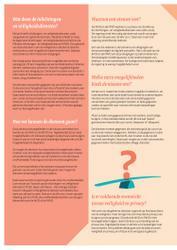 As such I'd like to share the experience, together with some examples. 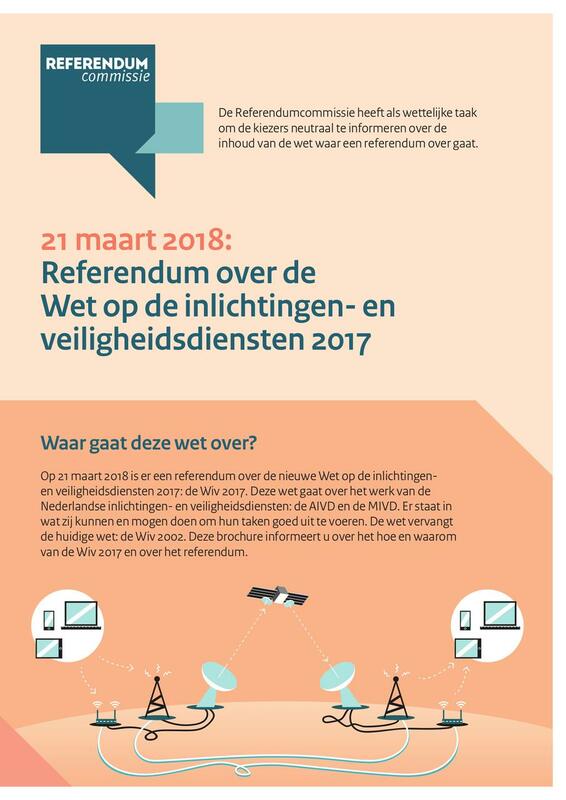 Morgen is het zover, stemmen voor de gemeenteraad EN voor het referendum over de Wiv, ook wel beter bekend als de sleepwet. 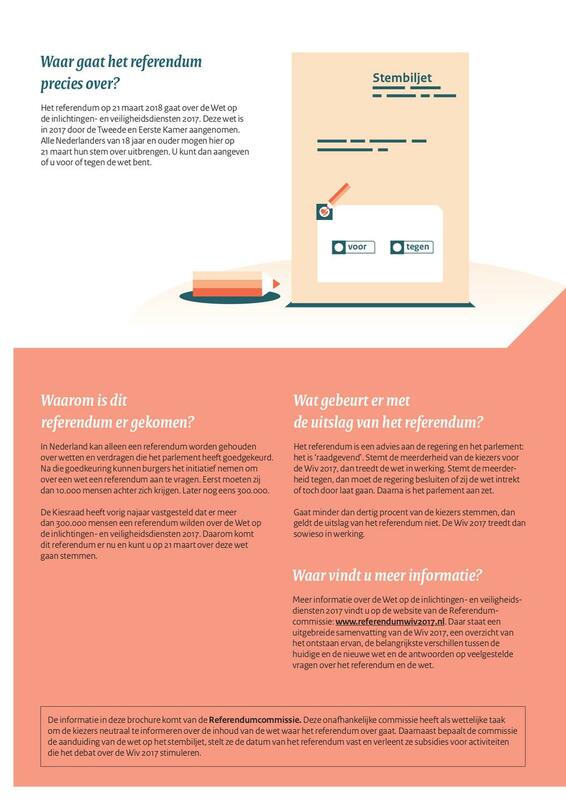 Bij deze wil ik iedereen vragen om (als je toch al gaat stemmen) ook jouw stem uit te brengen in verband met het referendum. 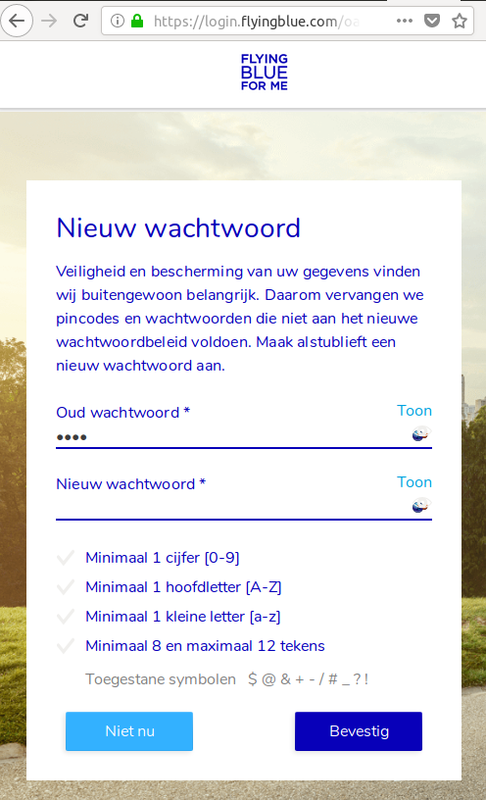 Mocht je mijn mening willen weten, stem tegen. Kort door de bocht: de wet is te vaag, het oordeel van de toezichthouder moet bindend zijn, de bewaartermijn is te lang, de diensten kunnen (te) makkelijk persoonsgegevens doorspelen naar het buitenlandse diensten en de gegevens van veel onschuldige burgers worden meegesleept terwijl dat niet nodig is. 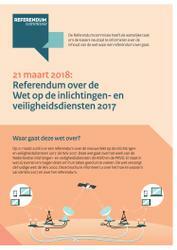 De Wet op de inlichtingen- en veiligheidsdiensten 2017 is een dermate 'hot topic' geweest (dankzij SleepWet.nl), dat we ons democratisch recht mogen gebruiken voor het stemmen in het referendum. 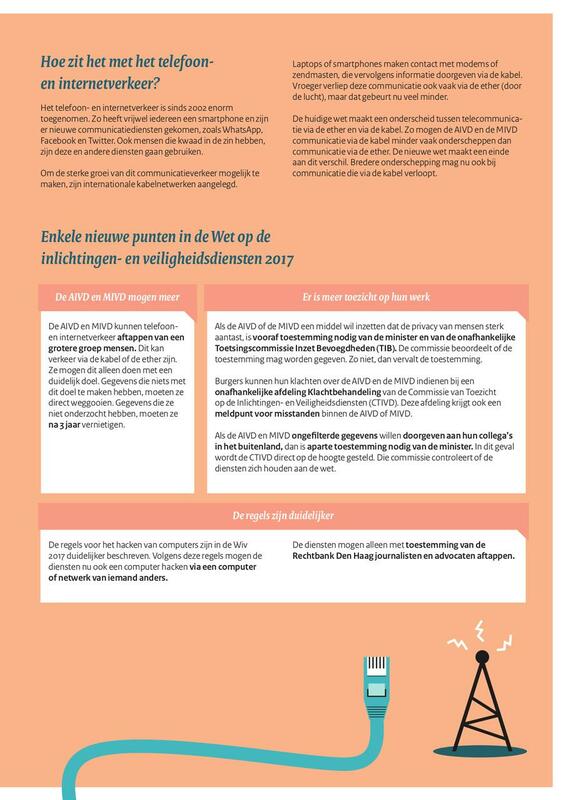 Laten we dat dan ook doen, om aan te geven dat de huidige wet (die per 1 januari 2018 van kracht is geworden) niet deugd. Goede informatie wordt gegeven op Een Betere Wet.nl (mogelijk gemaakt door Bits of Freedom) en de bijbehorende video-opname wordt mede mogelijk gemaakt door Amnesty International. Wil je een liever een vlot overzicht (met humor), dan kan ik je Zondag met Lubach aanraden. In deze eerste video (op YouTube) en daarna zelfs tweede video, geeft hij een goede kijk op de nieuwe wet. 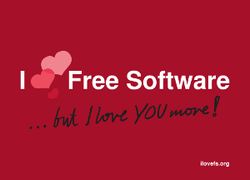 Today isn't just Valentines day, but also I love Free Software Day! I've been using (and contributing) Free Software for years now and don't want anything else. 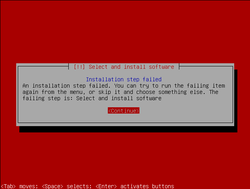 Even when I've given non-Free Software another chance, every time I was glad when I returned to Free Software. A big thank you goes out to all developers, sysadmins, network guru's, translators, bugsquashers and all other contributors. 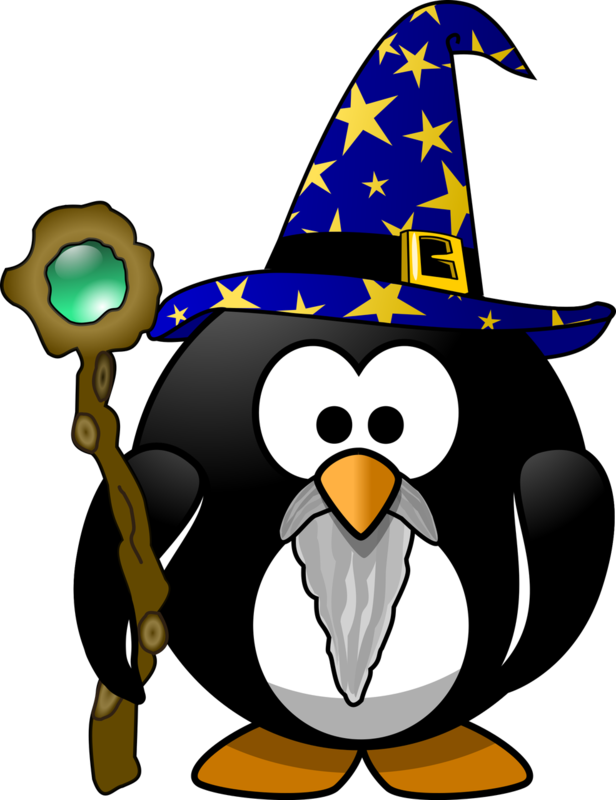 A small selection of tools/libraries/projects/organizations I'm thankful for this year: debian, ubuntu, terminator, mate, vi(m), firefox, thunderbird, postgresql, apache, kvm, libvirt, bash, openssh, nextcloud, workrave, audacious, vlc, mtp (Media Transfer Protocol), ext2/ext3/ext4/btrfs, mdadm, postfix, the linux kernel, fosdem, fsfe, eff, bitsoffreedom, ccc and kodi. Earlier this year I went on a long holiday to Japan and China. I have an Android phone and am a very big fan of OpenStreetMap. So I used OsmAnd (which uses OpenStreetMap data) to navigate through those countries. I made a spreadsheet with LibreOffice, which included a few links to certain location which are hard to find or do not have an address. 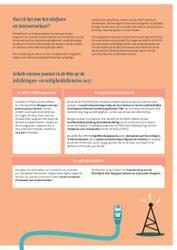 Then I exported that .ods to a .pdf and was able to click on the links, which then openend perfectly in OsmAnd. 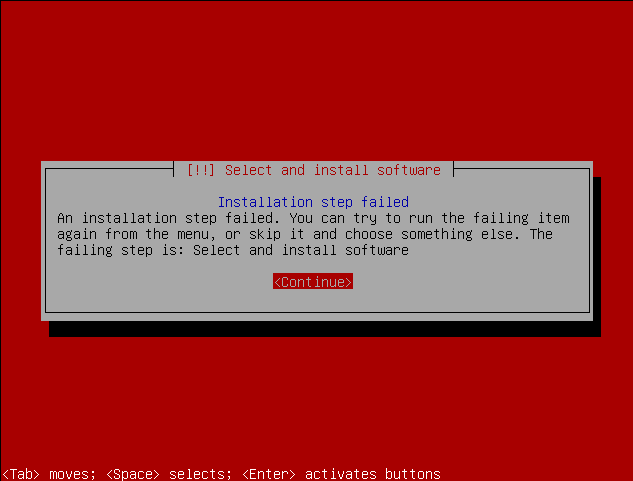 Debian (network install) fails on "Installation step failed"
Tried installing Debian by using the netinst feature, but was confronted with the following "Installation step failed" message, during the "Select and install software" phase. Tuesday the 14th of November 2017 was the day that Mozilla released their newest (and fastest) release of Firefox until now: Firefox 57, Quantum. 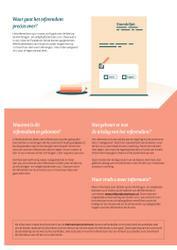 Reading the "marketing" text about more speed, less memory usage and a more beautiful browser, I was skeptical. After a quick download off their archive servers, I was very pleasantly surprised.